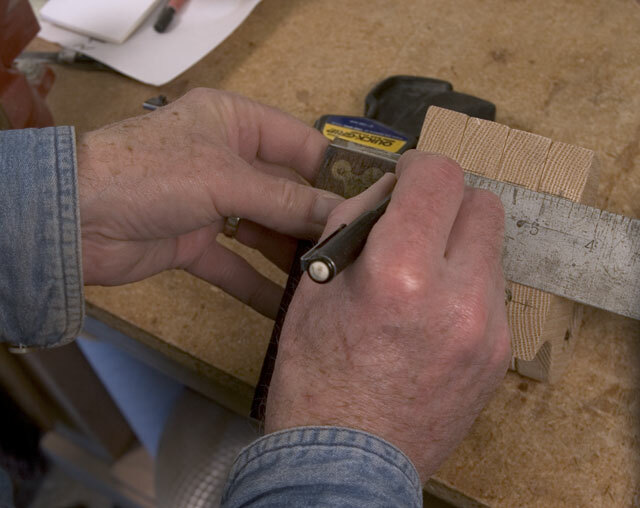 The RunnerDuck Curtain Rod, step by step instructions. 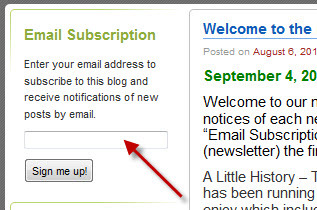 This project appeared in our April 29, 2006 Newsletter. This project is one of those idea projects where we leave the design up to you. We'll give you the steps we went through to help make your project a little easier and pointing out some of my tips and tricks. 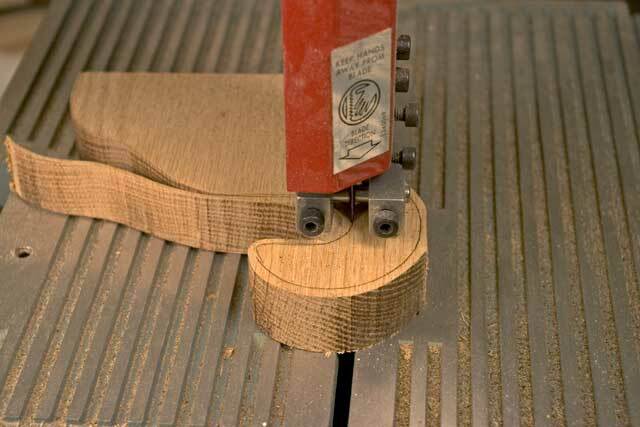 When I first approached this project I thought I'd use a template and flush router bit to shape the parts. After much effort I decided it was not the way to go. 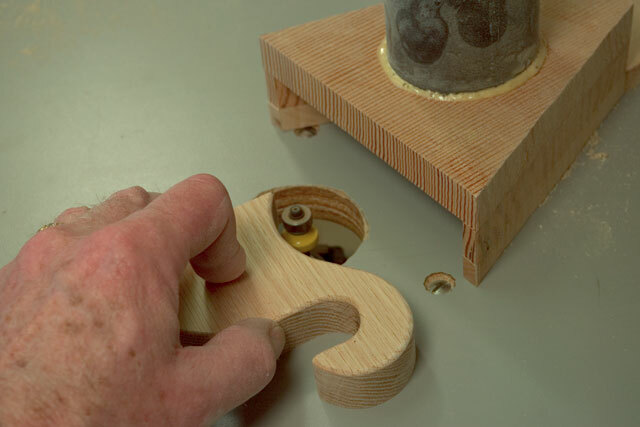 While trying to very carefully route around the corners the router bit grabbed the wood and split the hook off. It also scared the hell out of me. 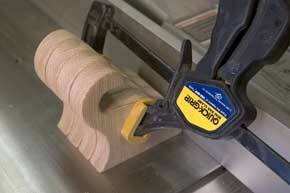 Next I decided to cut out my hangers on the band saw and sand them. This turned out to be a much better idea. 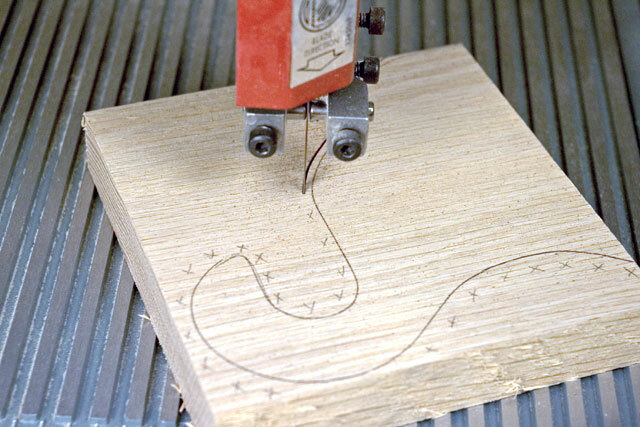 Lay out your pattern on a piece of wood and cut it out on the band saw. I made two passes cutting out the piece. The first pass was about 1/8" away from my finish cut. This made the second cut much smoother and required less sanding. Once I got it cut out I sanded it with sanding drums. Next I used a small round over router bit to radius the edges of the hangers. Next I made the back for the hanger. Just cut your piece to the size that fits your hangers. I rounded over the edges using the same round over bit as for the hangers. Now drill the holes for the screws and mount the hanger to the back. Mark a line 1" down from the top of the hanger on the back. Now gang the hangers together using a clamp. 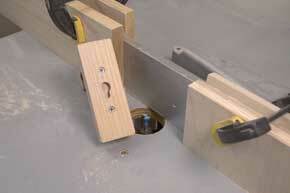 Align the hangers along the fence of your table saw and then clamp. Mark the rest of the hangers using a square. This makes them all the same and you don't have to measure each one. I used my handy dandy Incra Precision T-Rule to mark the centers of the hangers. Figure out where you will need to drill the holes in the back pieces to center the hangers. 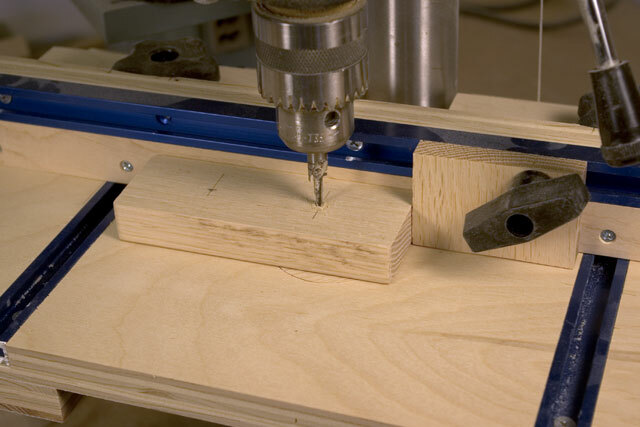 Set up your drill press table to drill two holes centered and evenly spaced from the back side. (you did make a Drill Press Table from our plans didn't you?) Counter sink these holes so the flat head screws will be flush or below. Sand everything smooth before you assemble the pieces. 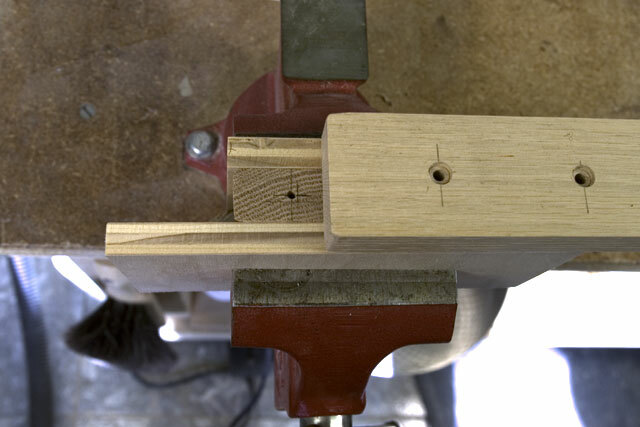 Put a hanger into a vise and drill one pilot hole on the mark you made. I placed a piece of 1/2" plywood on each side of the hanger to make aligning the back easy. Insert a screw through the back and into the one hole in the hanger. 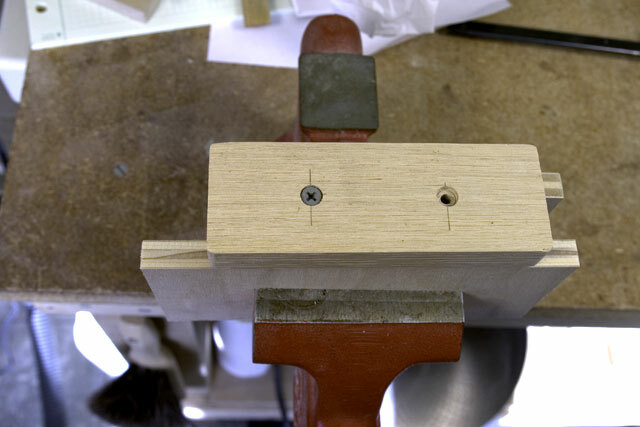 Drill the second pilot hole using the back as your guide and install the second screw. To hang my curtain rods I put a Keyhole in the back of each hanger. I used a 1/2" keyhole bit in my router. Set up a fence with two stops. 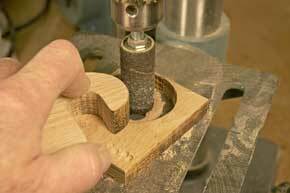 Start the router and slowly and carefully lower the hanger onto the bit with it up against one stop. Once it's flush to the table move the hanger to the other stop. Now move the hanger back to the first stop and carefully raise the hanger straight up. You should now have a keyhole to hang onto a screw in the wall. For the curtain rod I added Finials to the ends. 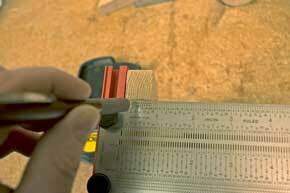 The first thing you need to do is find the center of the dowel. 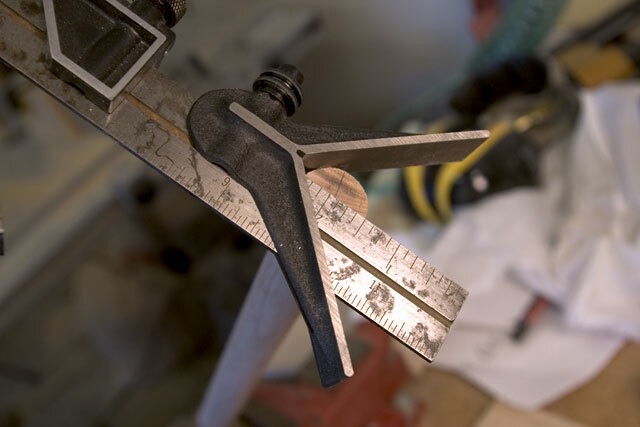 I used the Center Head on my try square. You can get these at Rockler for about thirty bucks but if you don't think you'll use one that much they have a slick little plastic one for about $2.50. 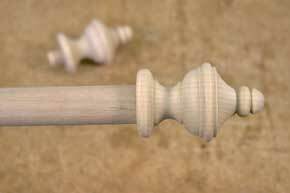 Drill a hole in each end of the curtain rod to fit the end of the Finial. 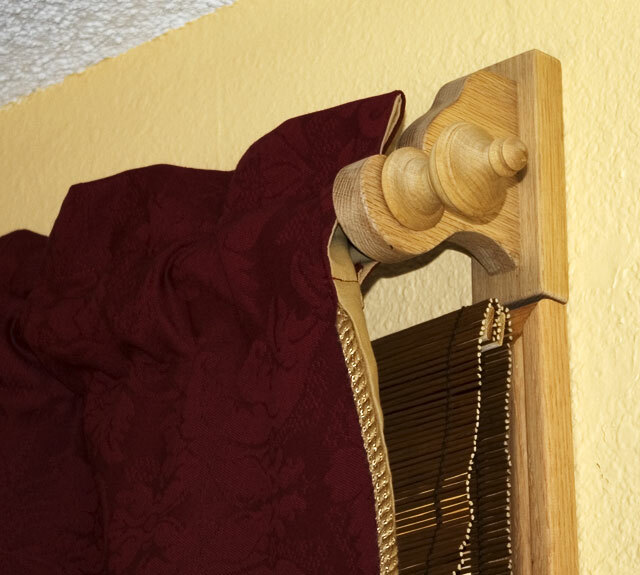 Depending on the size of the pocket in the drape you may not want to glue in the finials. Apply your finish to the hangers and curtain rods. All that's left is to put the curtains on the rods and hang them.